As ski season ends each April, or May for the die-hards spring skiers squeezing in those last turns, along comes the chore of putting your ski stuff away. Don’t just throw your ski bag in a closet and break out your bike and boating gear. Show your ski gear the proper care so it’s in sharp and ready for you next ski season. You don’t want to find mold on your ski jacket, mice in your ski boots and rust on your ski edges on that first snow day next winter. Make sure your skis or snowboard are completely dry, especially the metal edges to prevent corrosion. Put a coat of wax on the bases yourself if you are handy. Or take them to your ski tuner if they need a sharpen and wax and any p-tex repair. Ask the ski tech to leave some wax extra wax on the bases as protection from humidity. On your first ski day, you simply scrape of the extra wax to find a perfect tune underneath – no dust on you – and no rust. Keep your skis, boards and poles in a dry place in your garage or basement. We don’t believe today’s modern bindings need to be summer released…some aficionados swear by releasing your binding springs for summer – but we find it just means an extra stop at the ski shop in fall when you are ready to hit the slopes. Ski boots or snowboard boots should be completely clean or spring mud and dry- put them on a boot dryer or insert Seirus boot toaster hot sticks ($19 – best ski investment in our opinion) overnight to assure the liners and shell don’t have any trapped moisture. If you have stinky feet and smelly ski boots, spray the interior with odor eaters or your favorite foot spray to fight bacteria, mold and stench over the snowless months. Buckle your boots, not super tight, but be sure they are snug, and store them in a clean dry ski bag – in a moisture free storage area. Make sure all your ski clothing and accessories are clean and dry before folding into your ski bag for the summer or hanging in a closet. If anything needs to laundered- do it now so it is fresh and ready to go come first snow. Spot treating ski clothing – jackets and pants, of a localized stain, salt from brushing against you winter car, or hot cocoa spill, is often better than dry cleaning or washing technical fabrics as they will lose their wicking and water repellent property with each treatment. Store your goggle in their sleeve inside your helmet for safe keeping. Be sure gloves and mittens are dry all the way through before packing away. Toss a few dryer sheets (Bounce) in your ski bag for a fresh smell and to repel rodents from snuggling into your ski bag. Moth balls were your grandmother’s attic technique – but dryer sheets are simpler, far superior without that funky, stench. For tips on how to pack your ski bag for your next ski trip, see our ski packing guide. Now enjoy boating, golfing biking. 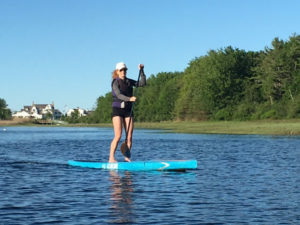 Bike riding and waterskiing are both excellent sports to keep your quads and glutes strong between ski seasons. 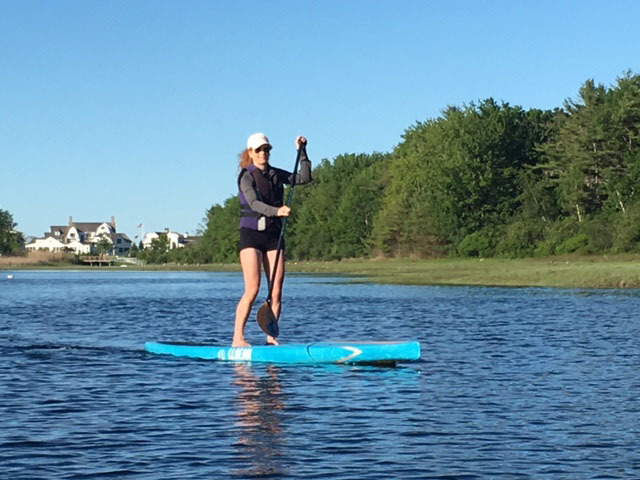 Stand Up Paddle Boarding also improves core strength and balance – both key for ski fitness, and a fun way to spend the snowless months. These simple steps should help to protect your prized possession until you are reunited for your first run in October or November at the best Eastern ski resorts for early skiing and the best ski resorts out west for early season skiing. We hope these ski storage and ski packing tips and our how to plan a ski vacation guide will help you get to the slopes more often in top shape! 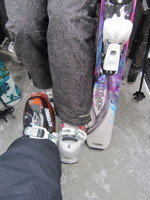 See our latest ski reviews of the Top Skis if you are considering buying new gear for next year.